Skin is the mirror of your health. We can help you to have good skin and good health. 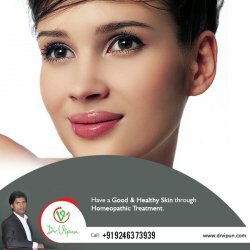 Get rid of Skin Allergies and make your Skin Healthy through HOMEOPATHIC TREATMENT. For Treatment Consult Dr. Vipun the Best Homeopathy Doctor in Dilsukhnagar.